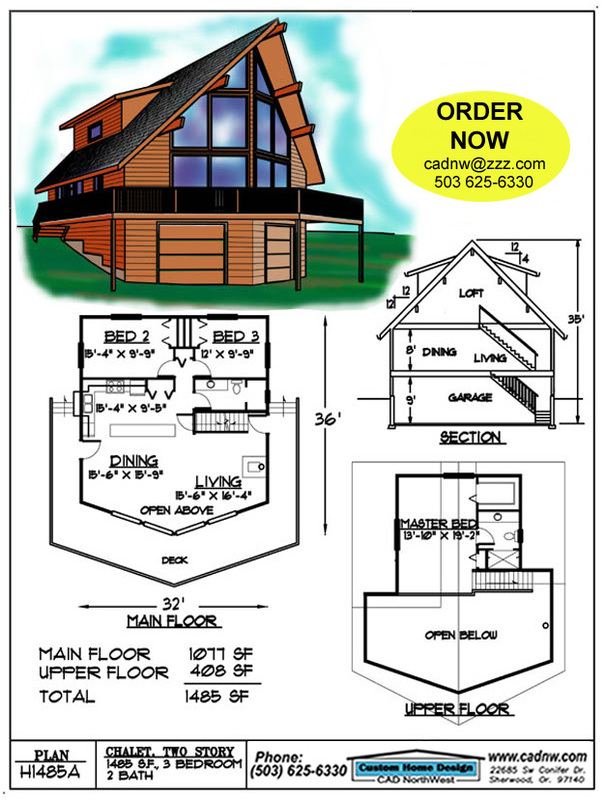 This chalet small house or large cabin is our most popular. It has two full bedrooms on the main floor plus a sleeping loft and full bath on the upper floor. The large windows in the prow front look out on a full width deck. The main floor has a full kitchen open to the living spaces. There is a bath with shower on the main floor. The upper floor and the garage basement are accessed with the stairway. The garage will accommodate a large vehicle and a small one. There is additional space in the basement for laundry and furnace.